Proteomics is the study of proteins expressed in a given type of cell, tissue or organism under particular biological conditions at a given time. 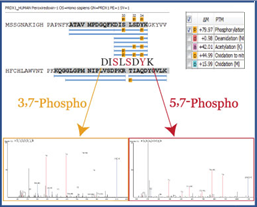 Shotgun (or bottom-up) proteomics is the most commonly used MS-based approach to study proteins by digesting proteins into peptides prior to MS analysis. 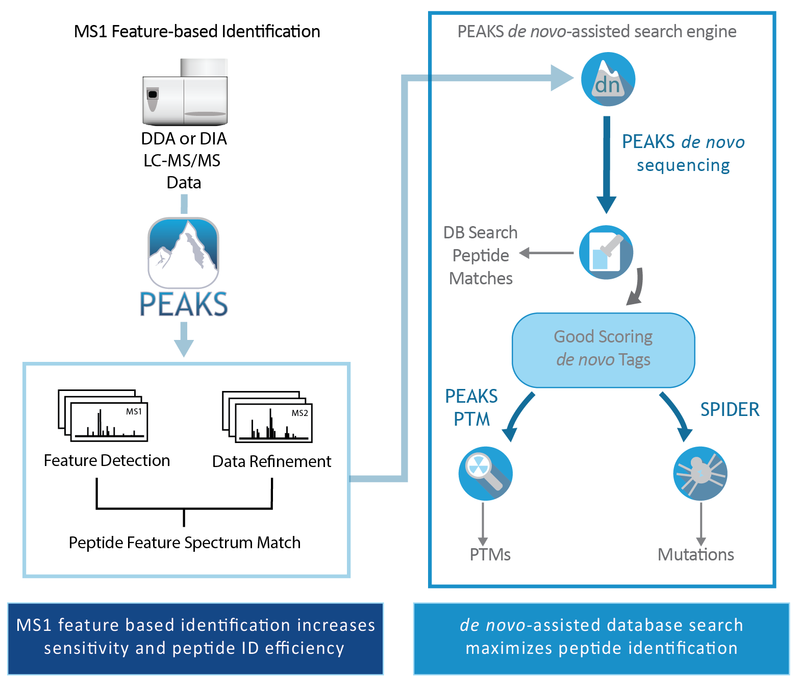 PEAKS Studio is a software platform with complete solutions for discovery proteomics, including protein identification and quantification, analysis of post-translational modifications (PTMs) and sequence variants (mutations), and peptide/protein de novo sequencing. PEAKS X is peptide feature-based. Feature table lists all peptide features detected from LC-MS, along with their peptide identifications by database search or de novo sequencing. 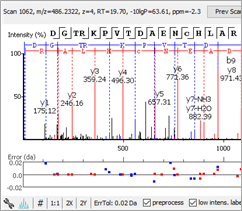 Each feature is linked to protein view, spectrum view and LC-MS view for inspection. PEAKS Studio performs LC-MS/MS data analysis and statistics according to the experimental design. Following the identification of peptides with MS/MS spectra, the resulting peptide sequences are used to determine the original protein components of the samples. 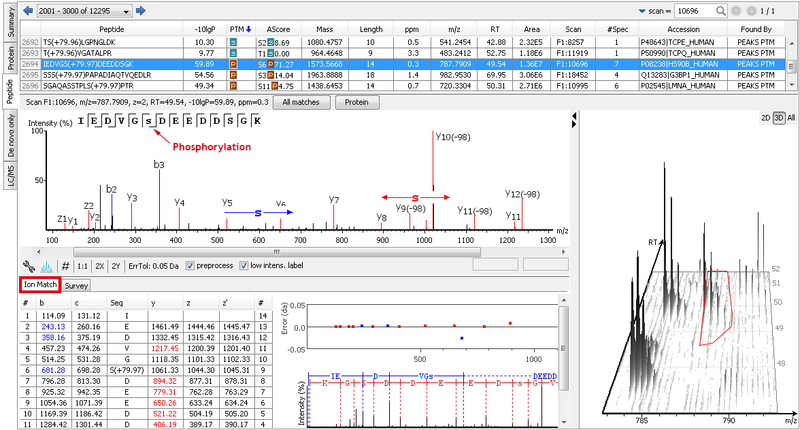 The Protein View presents protein profiling across complex biological samples. 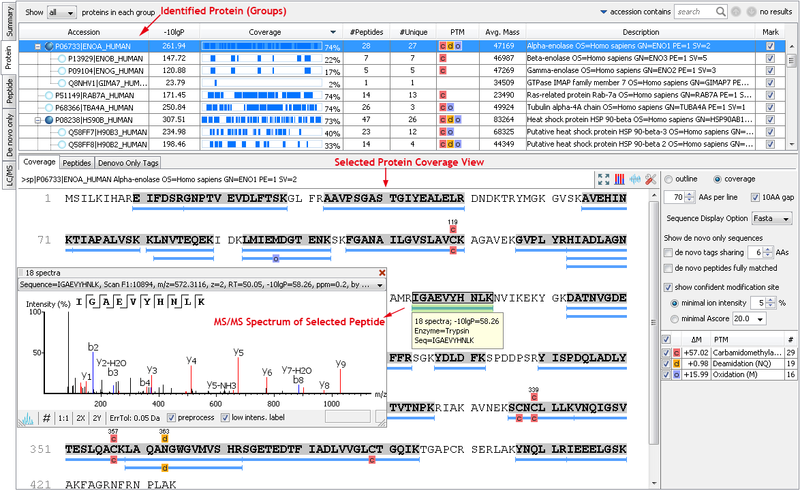 For each protein, the Sequence Coverage View displays a peptide map with spectrum annotation for validation. For more information about proteomics database searching, visit the PEAKS DB page. 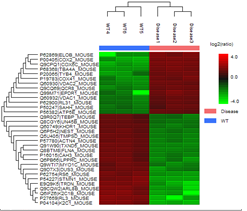 The Peptide View provides a list of identified peptides with the abundance from MS1. For each modified peptide, the confidence of modification site (Ascore) is associated. For more information about modified peptides and PTM analysis, visit the PEAKS PTM page. 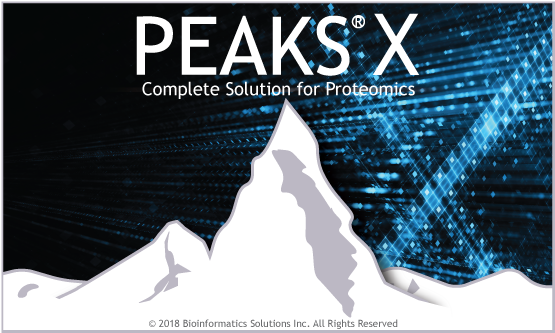 With the add-on module of PEAKS Q, PEAKS Studio also determines relative protein abundance changes across a set of samples simultaneously and without the requirement for prior knowledge of the proteins involved. 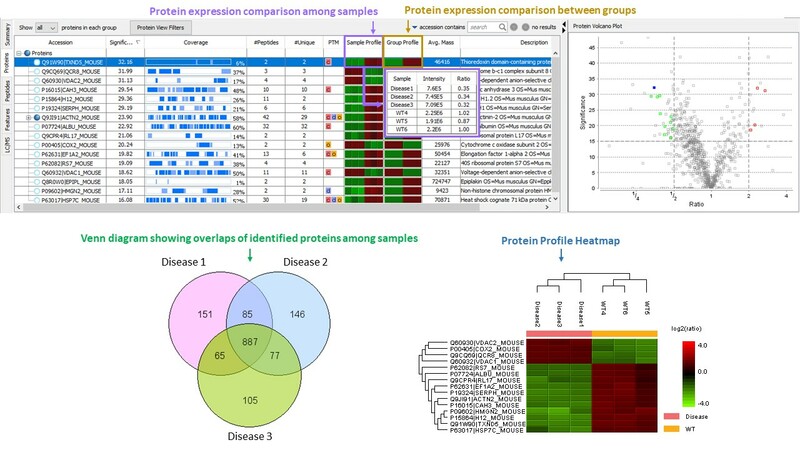 Highly differentially expressed proteins between two groups are identified by statistical analysis tool (fold change >2, FDR < 0.01) and displayed in a heatmap format. Learn more about the advantages de novo sequencing brings to your research. 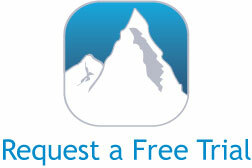 The PEAKS Studio license can be scaled to address your lab’s requirements. Tran NH, Zhang X, Xin L, Shan B, Li M. De novo peptide sequencing by deep learning. Proceedings of the National Academy of Sciences of the United States of America. 114(29). 18/7/2017. Tran NH, Rahman MZ, He L, Xin L, Shan B, Li M. Complete De Novo Assembly of Monoclonal Antibody Sequences Scientific Reports. 6(31730). 26/08/2016.